“Cornerstone Laid for the Washington Monument,” Histories of the National Mall, accessed April 23, 2019, http://mallhistory.org/items/show/196. 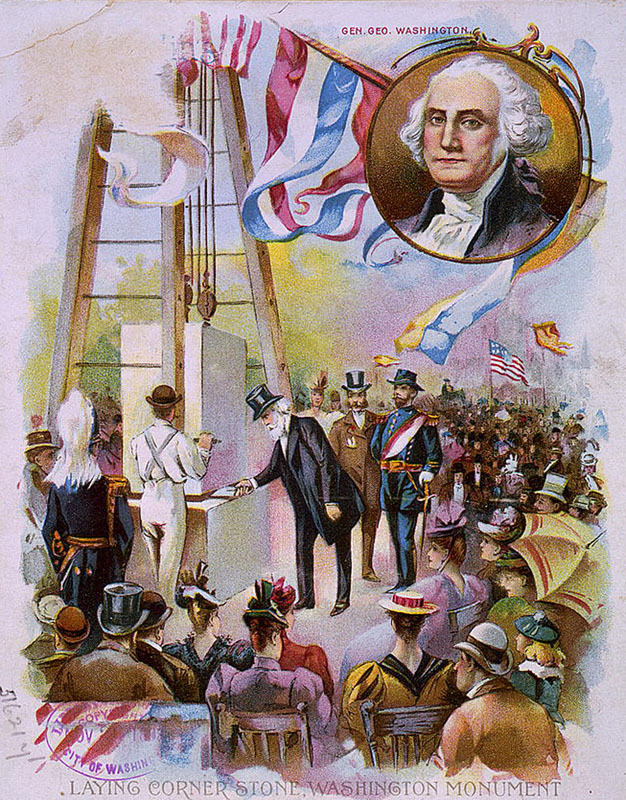 In 1848 the Freemason Society laid the cornerstone for the Washington Monument during an elaborate Fourth of July ceremony commemorating George Washington. Thousands attended, including the President and Vice-President, Congressmen, representatives of Indian tribal nations, and other dignitaries. Speaker of the House Robert Winthrop delivered a carefully planned speech, avoiding the controversial political issues of 1848, such as the war with Mexico, relationships with the Vatican, and conflicts over slavery.